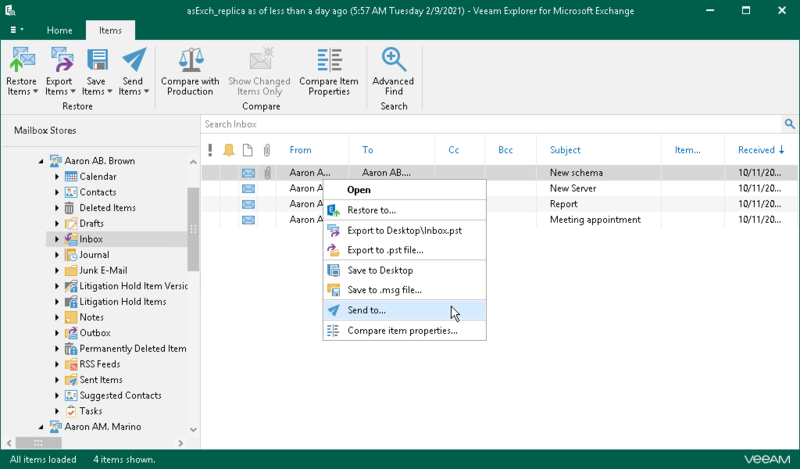 Veeam Explorer for Microsoft Exchange allows you to send Exchange items to specified recipients via email. In the navigation pane select a folder. In the preview pane, select items to send. 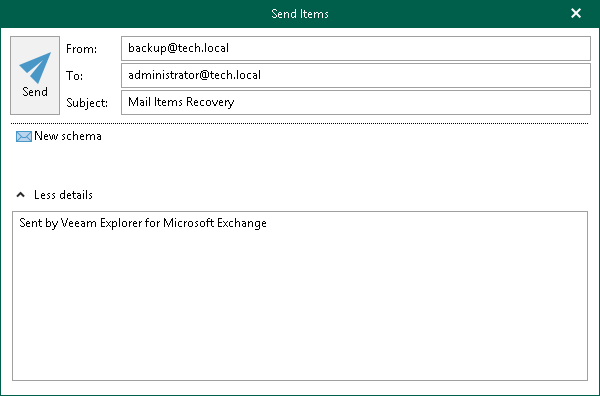 On the Items tab, select Send Items > Send to or right-click a folder/item and select Send to.